Some mixes are inseparable and thinking about the perfect combination for your coffee, we present our milk beater. The thickest and most delicious cream is completed by this machine in seconds. 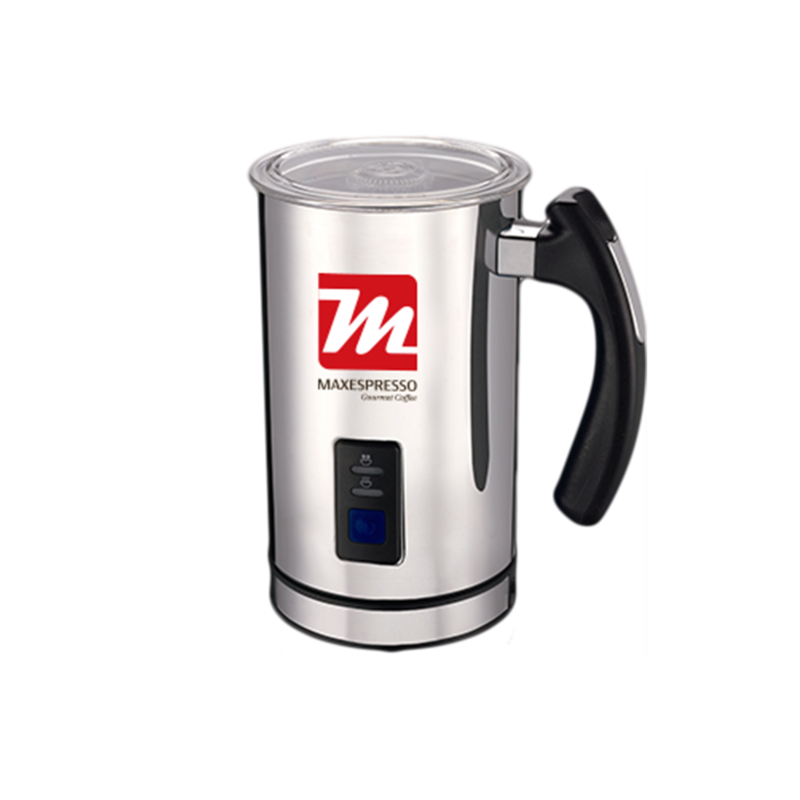 It heats the milk to a perfect temperature to combine it with your freshly made Maxespresso and bring a new level of pleasure to coffee lovers. Functions with no cables and with gyratory base of 360 º.
Detachable container to enable cleaning. 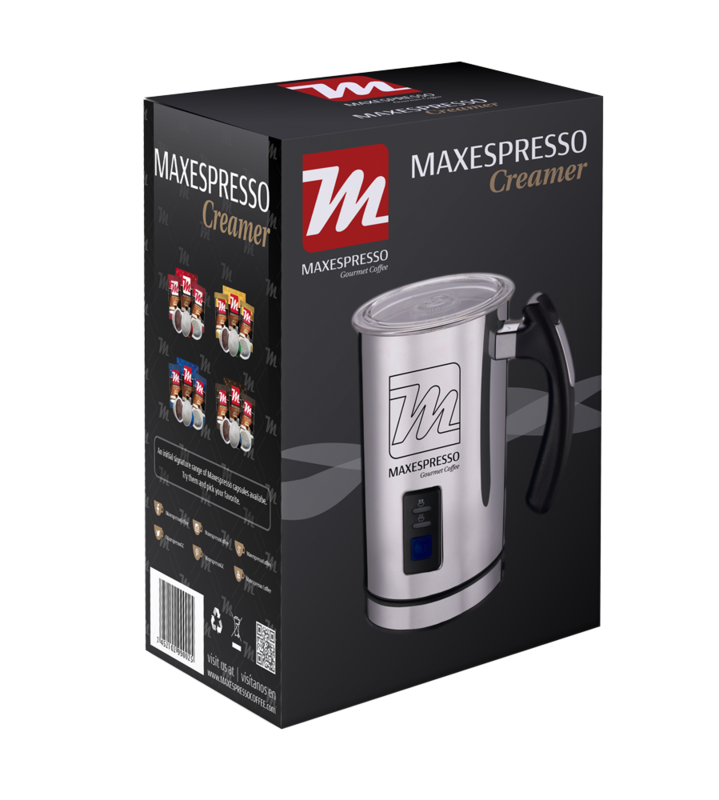 The Maxespresso Creamer warms milk at a maximum temperature of 70 º in order to not wait much before your first sip of coffee. Place the adequate piece depending on the desired function: heat-up or skim. Pour the milk in the container, always under the label. Press the power button to turn on the machine. When the milk is ready, the blue light turns off, and the red remains on 30 seconds more.